Wineforawedding.com features beautiful and unique gifts for anniversaries and weddings. 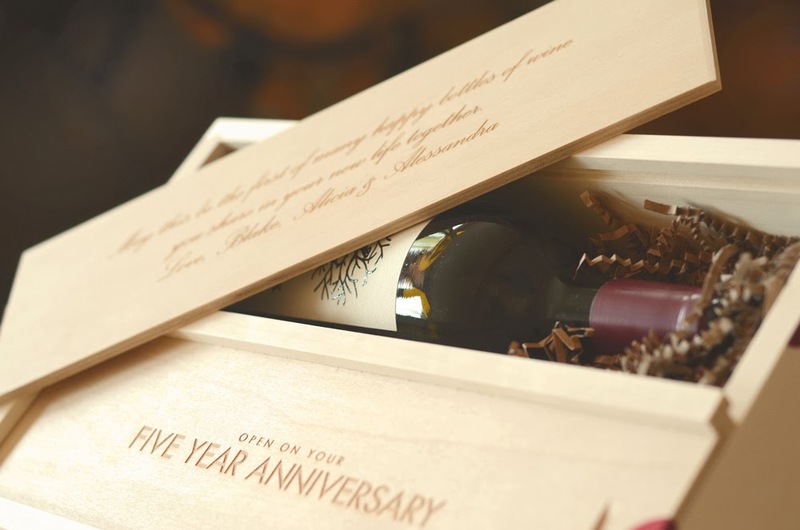 The wine box that I am reviewing today is their Live Laugh Love anniversary wine box with three compartments. I was excited to see that they had live laugh love because is one of my favorite sayings! Live every moment as one, Laugh together every day, and Love each other beyond words. There are several other works of art you may chose from as well. The box that our wooden wine box arrived in was very sturdy. The wine box was well protected from any damage that might occur during shipping. The box it comes in is actually the perfect container to wrap up if giving as a gift. Each wine for a wedding box has three compartments for holding wine or other similarly bottled beverage. These compartments are there to age three bottles of wine for three future anniversaries. When the gift recipient opens each compartment containing wine they can also read a message (toast) that you can choose to have engraved inside the lid. Each compartment is filled with a crinkle cut paper to keep the bottle safe and sound. Red foil lid seal stickers also come along with the box to seal each compartment. I am impressed by the quality of the wine box and it's engraved art work. Every box is made in the USA and engraved at their workshop in High Ridge, Missouri. One special bit of info to keep in mind is that the company plants one tree for every box that they sell. Every wine available for purchase on their website has been hand selected for its ability to age for many years inside of the wine box. This is a very unique and special gift that can be treasured for years to come. One that a couple could pass on to their children when they are wed. You may follow Wine for a Wedding at the links below. The idea blog is especially fun. Be sure to check out their new holiday line!